Photographs by Peter Funch. Afterword by Douglas Coupland. TBW Books, Oakland, USA, 2017. 160 pp., 123 color illustrations, 8x10". 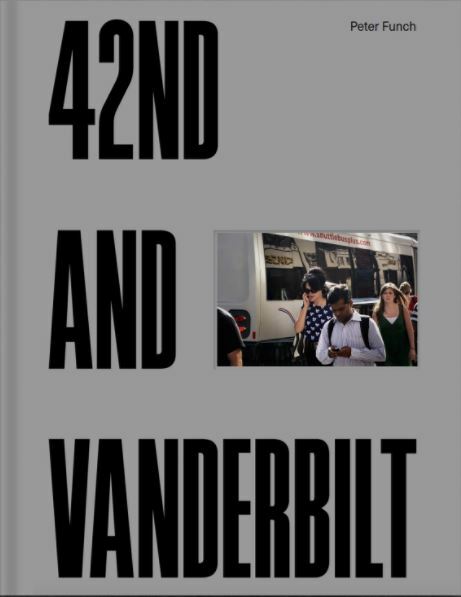 Between 8:30 am and 9:30 am, from 2007 to 2016, at the southern corner of 42nd Street and Vanderbilt Avenue in New York City. Danish photographer Peter Funch placed these rigid confines upon his nine-year photographic project, 42nd and Vanderbilt. Narrowing the infinite opportunities NYC has to offer an artist, Funch brings to the surface the minutiae contained within a fragment of our daily routine, the short walk from Point A to Point B, reminding us that the practice of photography in general, and street photography specifically, has only scratched the surface of possibility. 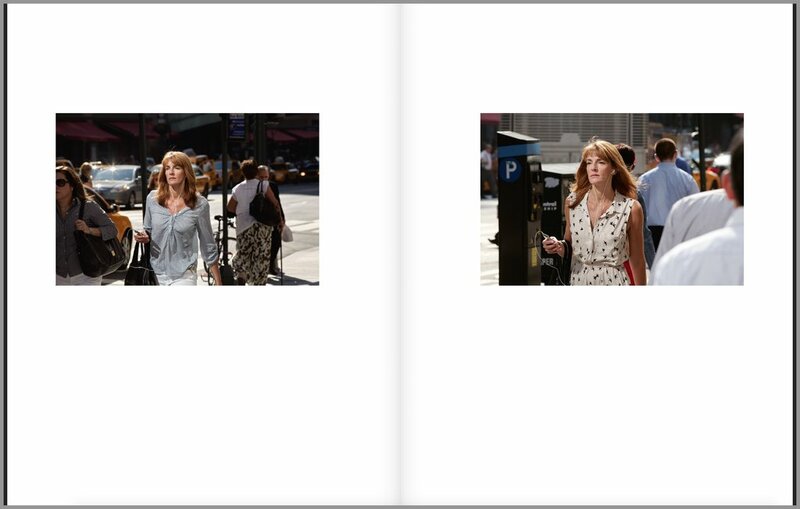 In one example, what appears to be a diptych of a woman with images taken only seconds apart, slowly becomes a 'Spot the Difference' puzzle: subtle variations in attire, hair, light and shadow emerge as we the viewer realize, in both wonder and consternation, that the images were in fact taken days, months, or perhaps even years apart. This simple and effective mechanism employed by Funch permeates the ordinary with the extraordinary. The fact that our own unknown tendencies, together with the rhythms and denizens of our surrounding ecosystem, can endure and replay over a path traveled thousands of times, becoming akin to performance, is nothing short of a revelation.